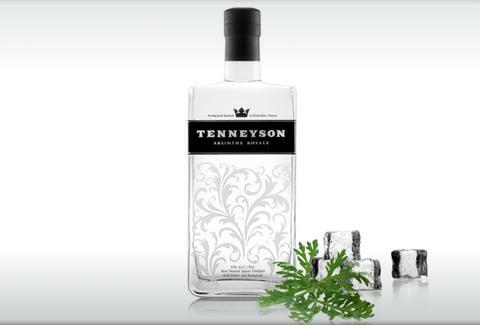 Because there's more than one way to skin a cat -- but not really any particular reason why you'd want to do so -- check out an Austin-born, unusual take on absinthe: Tenneyson. Absinthe Suissesse: 6th Street newcomers Haddingtons shake Tenney with orgeat, half and half, two drops of orange flower water, and egg white, which is terrible at dancing, as it can't even stand up on one end. Root Beer Barrel: The Tigress on North Loop pours it over ice in a rocks glass topped with Maine Root, but not Maine Roots, a tribute band everyone wrongly assumes is from Oregon. Absinthe Mojito: Wormwood specialists Peche muddle it with a dozen mint leaves, fresh lime juice, and simple syrup, then top it off with Brut -- hopefully Andre, because that would be a Giant hit with your Squad. Tenneyson's also fresh on the shelves of Twins Liquors and Specs, so this underground spirit's cat is just about to be out of the bag -- what you do with it after that is up to you, just don't tell anyone about it.